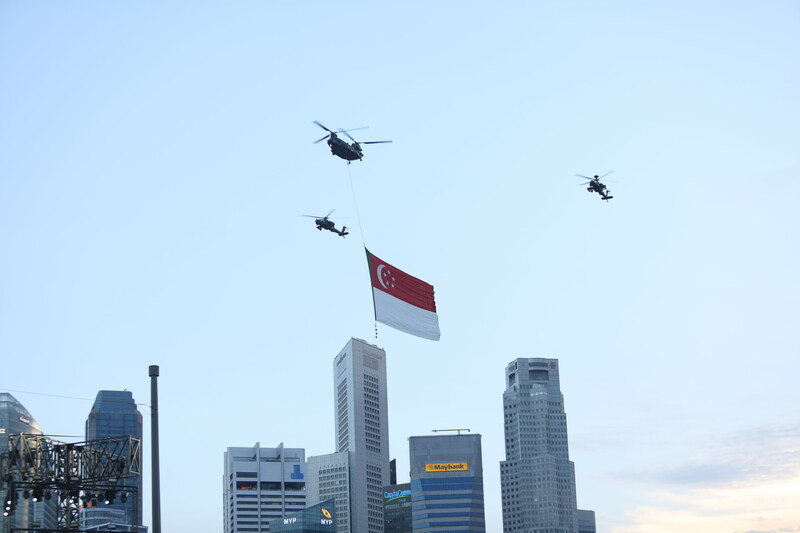 There was excitement in the atmosphere as Singapore celebrated its 52nd birthday bash at the Marina Bay Floating Platform with a dynamic display of military capabilities, unmanned drones creating magnificent sculptors in the sky and the favourites Red Lions making a triumphant return. Patriotic fervour reached its crescendo as a strong 25,000 crowd turned up to witness the National Day Parade.fervour reached its crescendo as a strong 25,000 crowd turned up to witness the National Day Parade.fervour reached its crescendo as a strong 25,000 crowd turned up to witness the National Day Parade. Several elements made their debut at NDP this year - including simulated terrorist attack and unmanned drones dotting the night sky —kept the audience on the edge of their seats. The excitement was so palpable that the spectators started streaming into the venue from mid-afternoon. 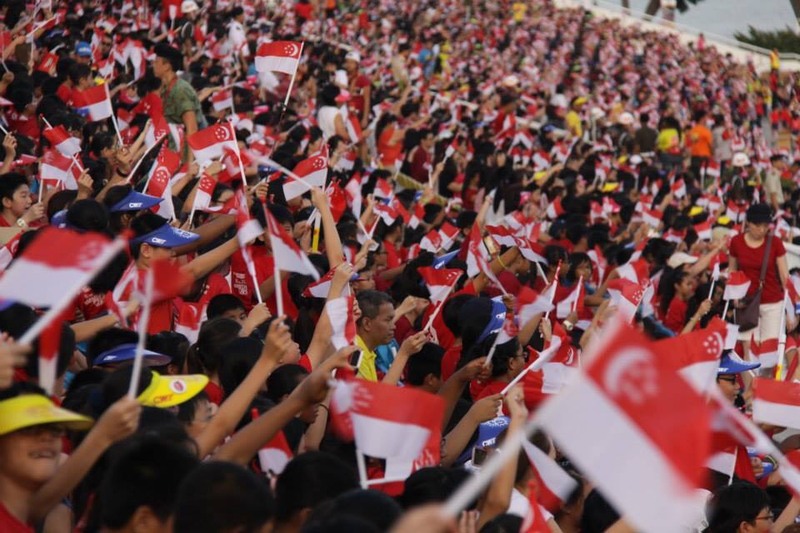 Initially, the emcees warmed up the crowd and made them on their feet to create a “Kallang wave”, turning the floating platform into a sea of red and white, with flags a-flutter. The eyes of the audience were fixed on the sky as nine Red Lions parachutists glided gracefully back to earth, to expectant cheers and rapturous applause. Heads were turned skyward again as five F-15SG fighter jets roared overhead and executed a “bomb burst” manoeuvre. Past and current national servicemen among the crowd were asked to rise from their seats, as they were given a special salute by the 2,000 participants from 31 contingents, to mark five decades of National Service. 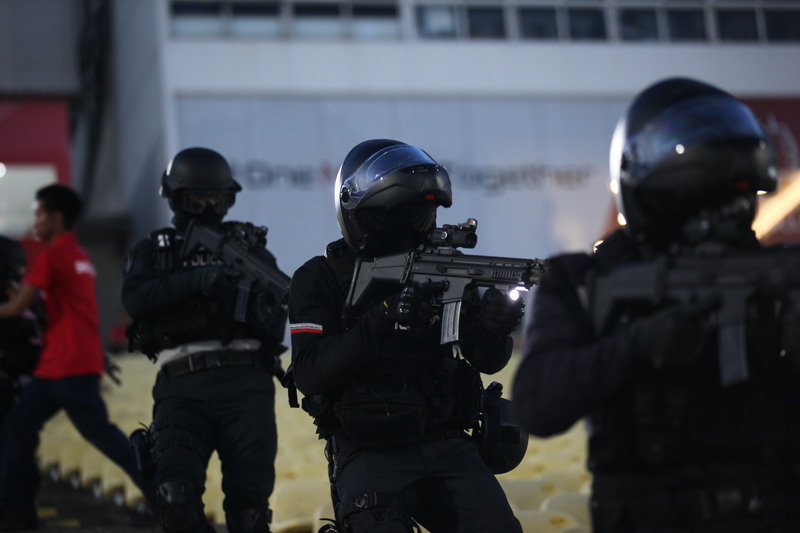 To show Singapore’s preparedness to thwart any kind of threat, a simulated terrorist attack was played out among the audience, as gunfights and explosions ensued with film-style special effects. People saw with awe Singapore’s coordinated response to a terrorist attack, with military commandos and police officers taking out the perpetrators, and the Singapore Civil Defence Force (SCDF) attending to the casualties. However, the excitement reached its climax as spectators were served up a visual treat as hundreds of unmanned drones lit up the night sky, forming ‘sculptures in air’ such as a heart, an outline of the island, and the Merlion. The five-minute drone light show featured 300 drones in the air at the same time, and was the largest in South-east Asia. Lastly, skyline of Marina Bay was lit up as fireworks were set off amid familiar tunes such as Stand Up For Singapore.